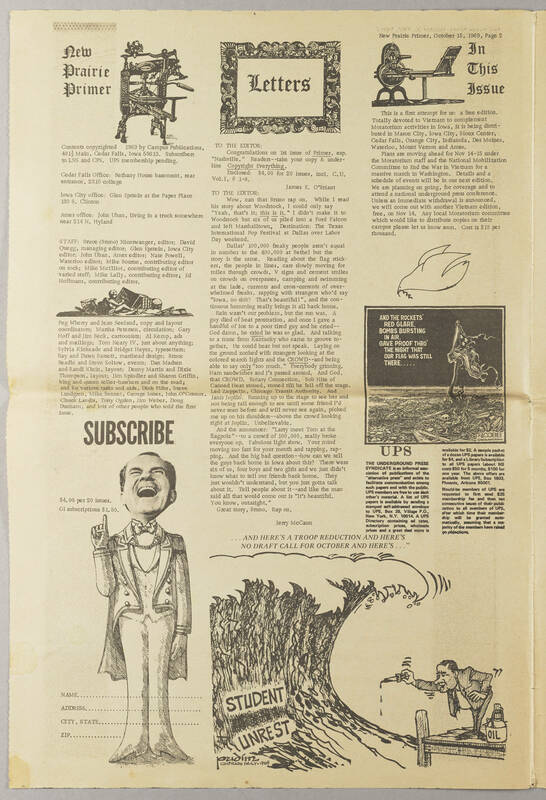 contents copyrighted 1969 by Campus Publications, 401 1/2 Main, Cedar Falls Iowa 50613. Subscribers to LNS and CPS. UPS membership pending.